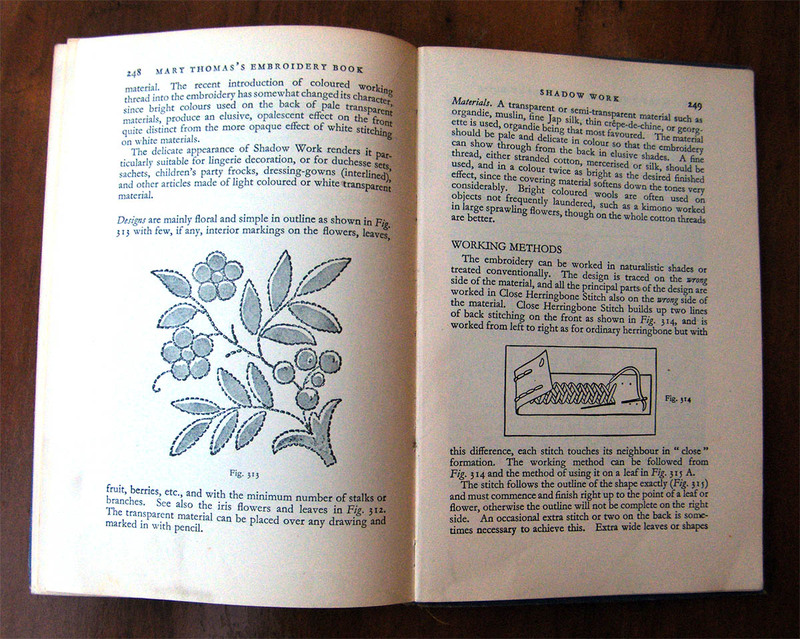 Yesterday Florestia on Feeling Stitchy wrote about an old book called Dictionary of Embroidery Stitches by Mary Thomas which had caught her fancy. 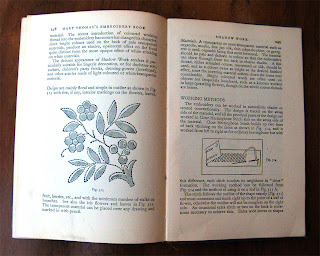 Oh memories, memories, as Mary Thomas also wrote another book, Mary Thomas's Embroidery Book which is how I made my first attempts at embroidery. I gave this information to Florestia and she has included my e-mail in her blog. Now I have to admit that I am positively ancient (but you can keep that information to yourself ) as I bought my copy of Mary Thomas in 1953 and started to teach myself embroidery This shadow work throwover is the second thing which I made. My first effort was a pair of place mats but they have long since disappeared. A throwover was used after setting up a tea or supper table, or the salads for lunch - something flimsy was thrown over the food to protect it. This one was done on a square yard of some form of organza with the blue motif in each corner, traced directly from the book. It's really a simple yet very effective form of embroidery. 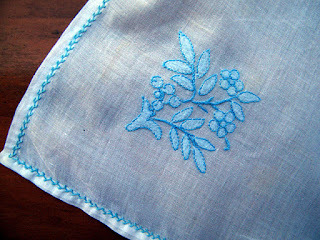 I didn't do much embroidery over the years until much later when I found myself with an empty pair of hands . Then cross sitch re-introduced me to the pleasure of hand-work.